American actress who starred in such films as Seconds in 1966 and Battle of the Bulge in 1965. 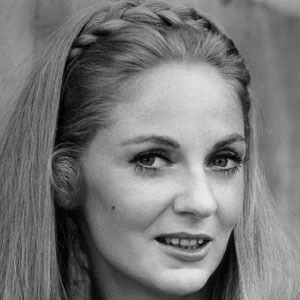 She also made appearances on TV in shows like The Virginian. She was a ballroom dancer after graduating high school, and she won the Harvest Moon Ball in the 1950s. She was a soprano singer for the St. Elizabeth Seton Traditional Choir in La Costa, California from 2000 to 2012. Her son, John Gregory Branca, has worked as an entertainment lawyer. She has appeared on The Ed Sullivan Show.